What Katie Healy Did: A BB that Katie can wear? It must be Vichy Idealia! A BB that Katie can wear? 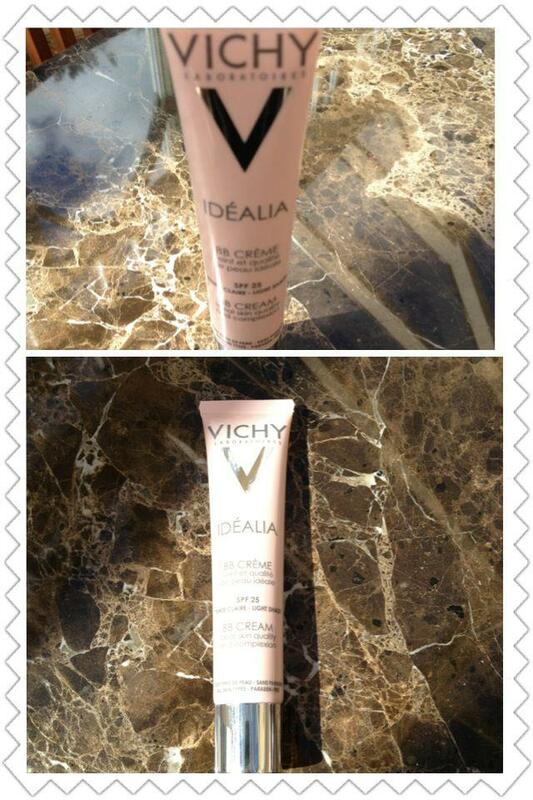 It must be Vichy Idealia! I have never in my whole life been able to wear, or even get away with wearing a BB cream. I coined the phrase ‘chestnut face’ because that is the result of most ‘light’ BB creams I have trailed. Well I really don’t have to worry about that happening with Vichy Idealia. This BB cream comes in two adaptable shades, light and medium. Being totally honest, I didn’t really believe light would be light or it would adjust to suit my skin. I dabbed a touch of it on my neck earlier on and as the day passed, it really did fade in to a shade that was EXTREMELY close to matching my skin. I was shocked, excited, and afraid to count my chickens in case I had inadvertently rubbed it off... so at seven I washed my face, whipped out the Idelia and applied it to my visage. Judge the results for yourself. Here is a shot of myself without make up. Here I will offer the obligatory sincere apologies. No, it is not my exact deathly Irish shade of white but it looks fabulous and I can get away with it. My skin has been brightened, lifted and looks rather radiant. Obviously I am only wearing Idelia in these pictures so excuse the lack of red lips and brows! My skin looks amazing and it is thanks to Vichy. I have honestly never fallen for a product so fast! Also it smells fricken’ DIVINE like all the Idealia range. Yummy Yum! Radiant skin for 23.50, not half bad! My local pharmacy stocks Vichy so I have a feeling this is the beginning of a very long and happy romance. THANK YOU PAULA, you absolute doll. Ooh that looks lovely. I've been meaning to get a sample of the idealia face cream, must ask for this too. Thanks so much, Vichy is great! it looks awesome, how is the coverage? I've just bought it, hope to love it too! !